Triathlon, running, cycling. Swim stroke analysis. Running gait analysis, track workouts. Cycling techniques. Strength conditioning. Affiliated with Fortius Coaching. Access to group training. I provide personalized coaching schedules through the Training Peaks program. All programs are designed for the athlete. I do not do cookie cutter plans since everyone is different. I provide one on one training sessions for an additional fee. 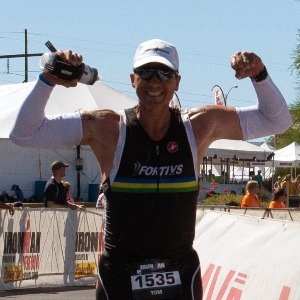 I am an Ironman University Certified Coach and a USAT certified triathlon coach. I have over 10 years coaching endurance sports including triathlon, endurance cycling, endurance and ultra running along with the individual segments. I have been working with the Frotius Racing Team and Fortius Coaching for the past 6 years. I am based in the San Fernando Valley but will work personally with anyone within 50 miles and train throughout LA and Ventura counties. I work with athletes of all levels from true beginners to Ironman. You must have a willingness and desire to succeed. Success. Coach Tom Mossman has been notified of your message.